I was curious as to which producer might be bottling their wine under another label and began to wonder if it could really be top notch Napa Valley fruit at this price. 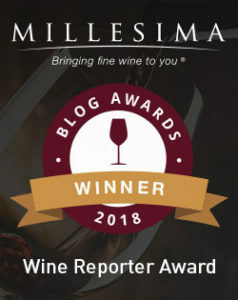 If you purchased the wine, WTSO promised that upon arrival you would be surprised, impressed and excited to learn who the mystery producer was. We love Napa Valley! Don’t miss the delicious Waterstone Cabernet, Clos Pegase Cabernet and Big Vine Cabernet all ringing in Under $20! It is becoming increasingly more and more difficult to find good Napa Valley wines without breaking the bank. Many well known producers offer several tiers of quality with prices often starting in the $20-$25 range. As the price rises, so does the standard of care for the grapes and where they are sourced. The fruit used to make the more expensive offerings is usually sourced from more expensive and more sought after vineyard lots. Sure, there might be other stellar growing regions in California, like nearby Alexander Valley in Sonoma or Paso Robles, but none that command the cache and prices of Napa Valley. Often, it is the established producers who have either managed to acquire a portfolio of top vineyard sites or they have forged lasting relationships with growers over several decades. Armed with this leverage these producers are best positioned to to deliver the most quality at the most reasonable prices. The best situation is to have acquired top vineyard sites as Pine Ridge has since it’s inception in 1978. The second best scenario for a producer is to have been a loyal and consistent buyer of a growers fruit for many years. These are the kinds of relationships that both enable some wineries to produce top tier wines at reasonable prices as well as make it very challenging for new producers to enter the market and offer a quality wine at a competitive price. And with that being said, it’s time to pop the cork! Let’s see how this mystery offering stacks up. Nose: A sweetly perfumed nose of cedar and dark berries with a hint of smoke. Taste: Medium bodied and richly textured, this smooth wine has flavors of boysenberry, licorice and strawberry backed by cedar and vanilla. It finishes long and spicy. Varietal Composition: Merlot, Cabernet Franc, Cabernet Sauvingon, Tannat, and Malbec. 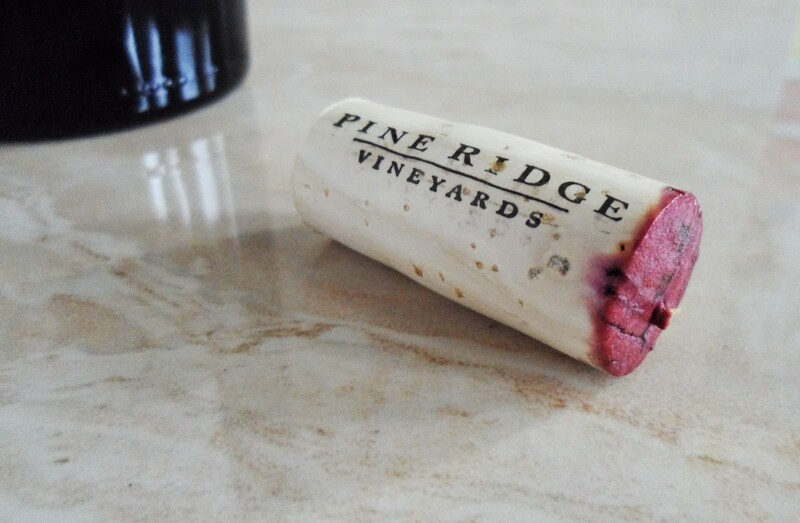 As you can see as soon as you pop the cork the mystery is over as Pine Ridge Vineyards is prominently displayed. I admit I was definitely pleasantly surprised to discover the producer but I was more impressed with the wine itself. PRV is also subtly displayed within the labels artwork and on the back of the bottle it states that the wine is “Produced and Bottled by Pine Ridge Vineyards“. This wine represents tremendous value in my opinion. It tastes very similar to the Pine Ridge Cabernet I was drinking recently as I lost hand after hand playing Blackjack at the Revel Casino in Atlantic City. At least I was drinking a fine Napa Cabernet to cushion the losses. That night the Pine Ridge didn’t come cheap, although at a retail of about $40 it is a solid reputable Napa Cabernet. 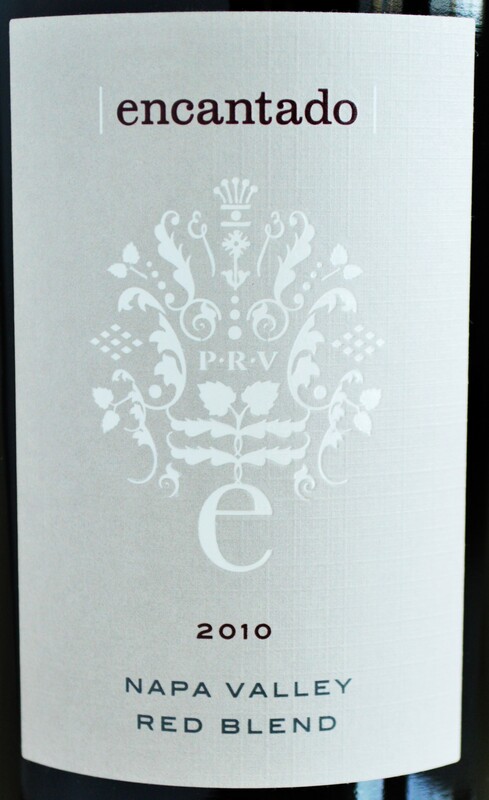 But at $19.99, the Pine Ridge Encantado Red Blend is clearly the winner here. It even reminds me of Caymus’ non-reserve bottling, which is often lauded more for its silken texture over a substantive flavor profile. Founded in 1978, Pine Ridge Vineyards has managed to acquire 200 acres of prime vineyards spanning top Napa Valley appellations including: Stags Leap District, Oakville, Rutherford, Carneros and Howell Mountain. Kudos to Pine Ridge for giving up the opportunity to enjoy a such a great wine at this modest price point. We as a consumer certainly benefit from their vast portfolio of top vineyard sites. “At least I was drinking a fine Napa Cabernet to cushion the losses. ” – Love it! So cool that you’ve found similar quality for a better price 🙂 You’re so good at finding those deals! Well written and thanks for the head’s up!! Unless they are sourcing the fruit, it is likely from the Stags Leap AVA. The only way to know for sure would be to confirm with the winery. 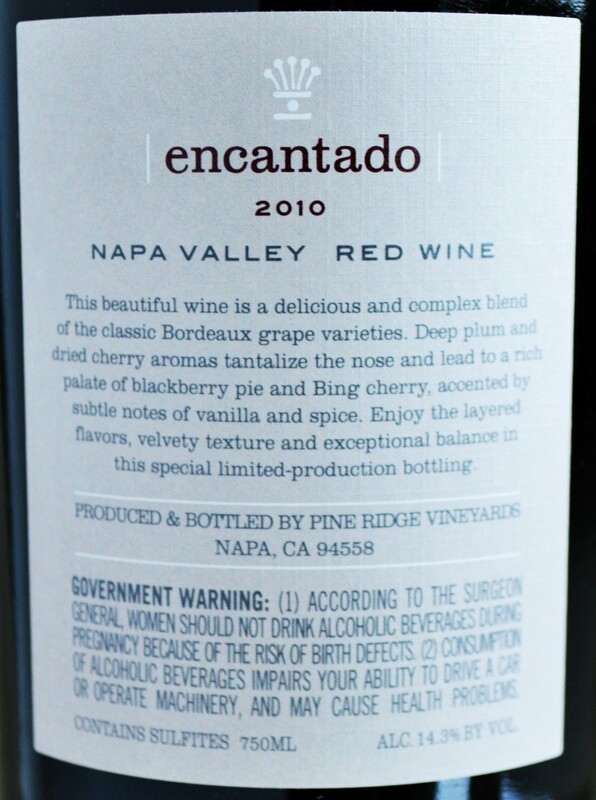 The Encantado wines are definitely solid values, and I have personally enjoyed several vintages myself. Cheers!